How originated the Mineralienhalde Grube Clara? For decades the processing company „Sachtleben“ allowed stone collectors to search for Grube Clara’s world wide known minerals on the plant’s area for a small entrance fee. In 2007 it became clear that, due to security reasons, private persons could not be allowed to access the Sachleben stockpiles anymore. 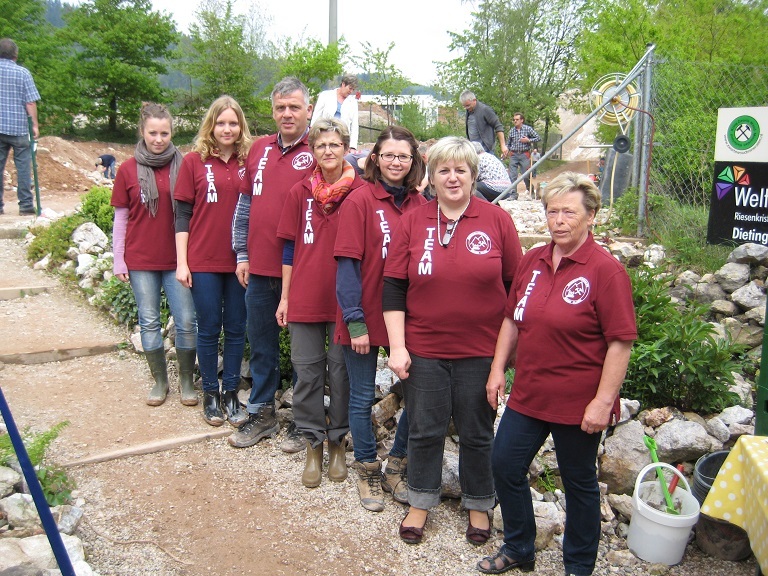 Therefore Kordula Kovac and Bianca Balker-Schmelzer, founded the „Mineralienhalde“, an independent business. That way, mineral searchers from all over the world still can enjoy their hobby on the stockpiles of one of the world’s most mineral abundant mines. The regional tourism and hosts benefit from the Mineralienhalde as well, as holiday-apartments and hotel rooms can be rent even off-season to numerous mineral collectors and their families. 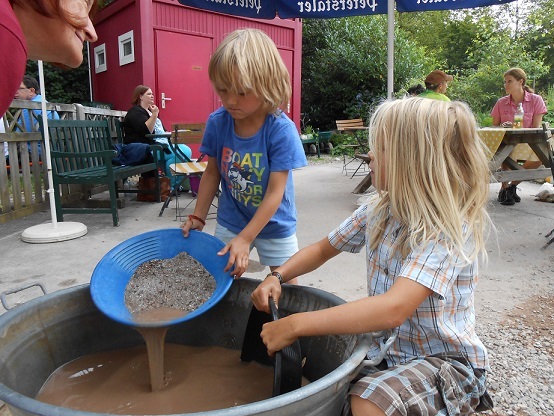 This is an important economic factor for the region as many mineral searchers visit this area of the Black Forest for quite some days or even weeks every year – they spend money on accommodation, eating and drinking as well as on shopping activities. At the end of 2009 Bianka Balker-Schmelzer, her heart aching making this decision, had to leave the enterprise to move to Mannheim together with her husband. Since then, Kordula Kovac has continued working by herself, having developped the Mineralienhalde into a seasonal business. With the support of sponsors like hosts and companies working in the field of tourism, with the back up from „Sachtleben“ that renounces part of the lease during winter time, by selling a mineral calendar which was designed and realized by the outstanding engagement of Frank Schimak and last not least by rising the entrance fees the financial situation of the Mineralienhalde could be consolidated and improved so that it will be going on as a seasonal business in the future. At the end of the last year 2013 Kordula Kovac got surprisingly new tasks and responsibilities, which implies that her priorities changed accordingly. However, the Mineralienhalde will continue with the support of new Team members without major changes. We are very pleased that we can continue with the Mineralienhalde and therefore we would like to thank all the people that having been supporting us in the last years.